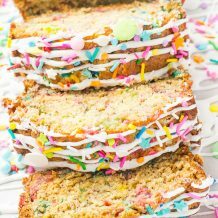 These soft and chewy funfetti peanut butter cookies topped with a cookies & cream kiss and SPRINKLES! Happy Monday! I hope you all had a great Father’s Day. I spent the day with my Dad and the rest of my family enjoying the beautiful day on the boat. I made these Funfetti Peanut Butter cookies for my Dad because his favorite cookies are peanut butter. 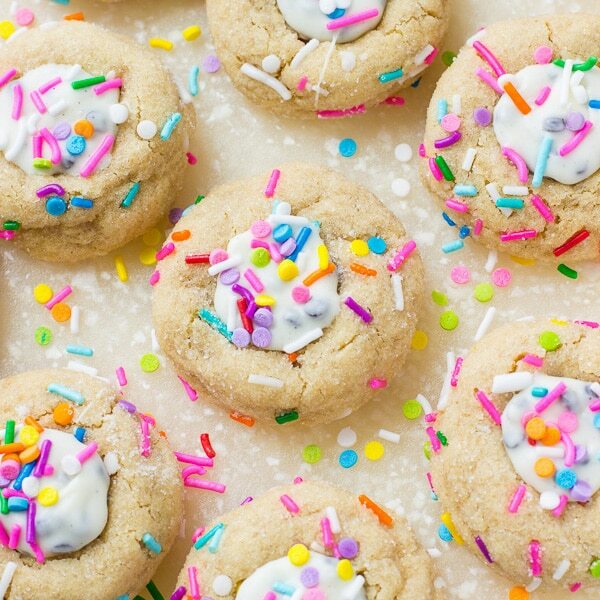 But rather than just making plain old peanut butter cookies, I decided to make them more festive by adding SPRINKLES. 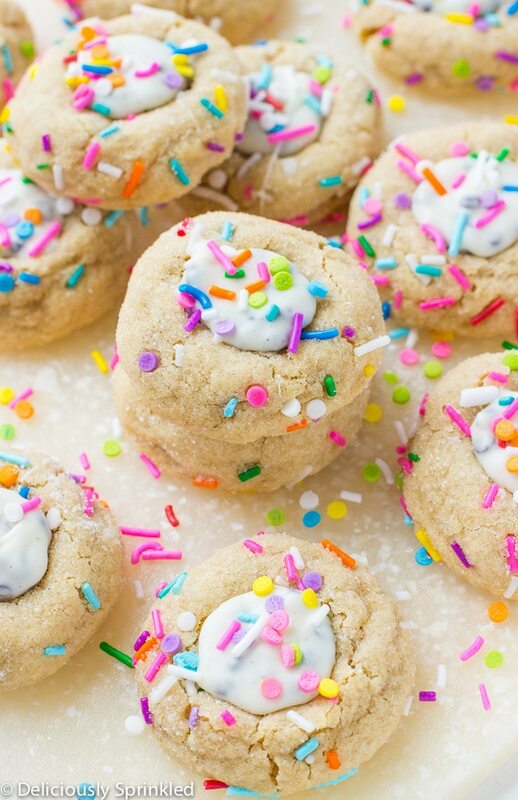 To make these Funfetti Peanut Butter Cookies I used my very popular peanut butter blossoms recipe but I let the Hershey KISS in the middle melt for a new, fun way to make peanut butter blossoms. I love the cookies & cream Hershey KISSES because they add a little Oreo cookie crunch to these cookies that make them extra delicious. If you follow me on Instagram, you saw a little behind the scenes of how I made them. If you don’t follow me on Instagram…PLEASE DO! ✓ HERSHEY KISSES: I used the cookies & cream flavored KISSES but you can use which ever flavor you would like. 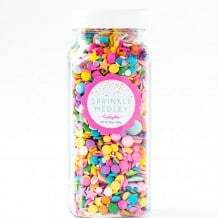 ✓ SPRINKLES: I love Sweetapolita’s new Sprinkle Shop! 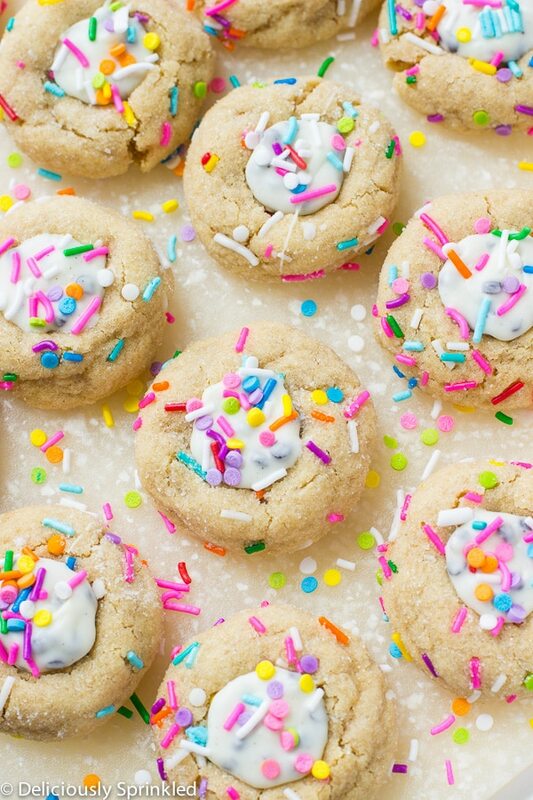 She has a TON of super fun sprinkles, like the sprinkles I used to make these cookies. 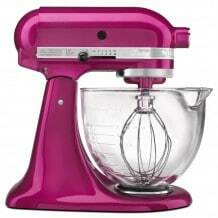 STEP 1: In a medium bowl, whisk together flour, baking soda, and salt. Set aside. STEP 2: Using an electric or stand mixer, cream together sugar, brown sugar, and butter until light and fluffy. STEP 3: Add peanut butter, egg, milk, and vanilla; mix together until combined. 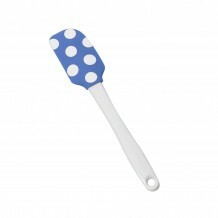 STEP 4: Using a spatula, stir in flour mixture until dough forms. DO NOT OVERMIX! STEP 5: Scoop dough and shape into balls. 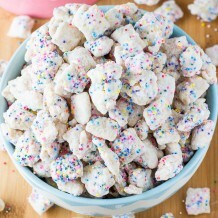 Place about 1/2 cup of granulated sugar and sprinkles into a small bowl, roll dough balls into sugar/sprinkles. Place dough balls onto prepared baking sheet. Bake for 8-10 minutes. STEP 6: Remove cookies from the oven. Place one unwrapped Kiss chocolate candy on top of each cookie and press lightly. 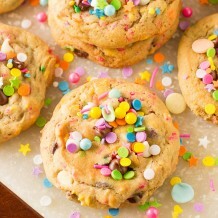 Let Kiss chocolate melt on top of cookie and add more sprinkles on top. Let cookies cool completely on wire rack before enjoying!